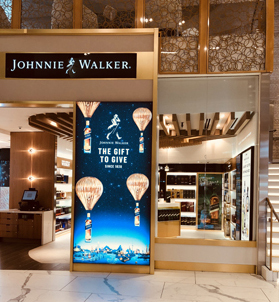 Diageo Global Travel opened a new luxury store in partnership with DFASS Group and its partners CBI Retail Venture (CBIRV), MDT Strategic Ventures and Charles Bush Consulting in Dallas Fort Worth International Airport earlier this month. 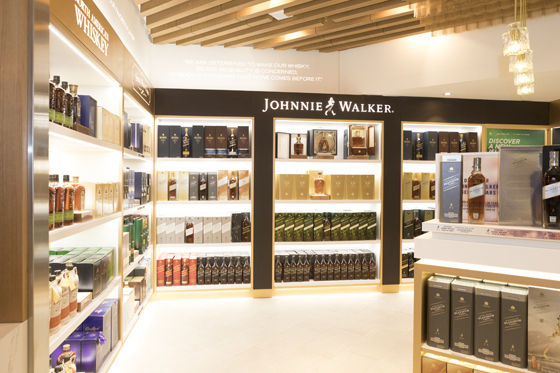 The 400 sq.ft store is the first Diageo retail space to open in Dallas Fort Worth Airport and is designed to offer a luxurious interactive spirits experience for travelers. Miami-based design agency Bloommiami designed, produced and implemented the store. Located in Terminal D between gates D22 and D23, the store features a central sampling station, interactive video screens and wall displays. For the whisk(e)y drinkers, a feature wall displays a range of exciting variants from the Scotch and American whiskey categories. 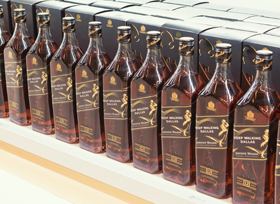 The luxury store offers key variants from Johnnie Walker, as well as a range of Single Malts and spirits from Bulleit, Baileys, Cîroc, Tanqueray and Zacapa.